You can get even more out of your two-way radios with accessories like extended batteries, portable chargers, crisp speakers or a radio headset. When it comes to finding the best headset for your radio setup where do you begin? Take a look online and you will see that there are countless headset options, ranging in price from as little as $18 to as much as $1,000+. 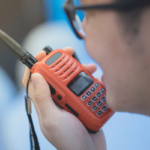 In this blog we provide answers about some of the best headsets for two-way radios, plus how to determine if you really need a radio headset in the first place. Do You Need A Two-Way Radio Headset? Hold a meeting with staff to discuss the option of having a headset. Lead an open-ended discussion in order to find out if they think this accessory would improve functionality and comfort throughout their workday. Take into consideration the everyday tasks a team is assigned. For instance if employees are constantly on the move, a headset may help by allowing for hands-free communication. How much time do team members spend communicating via radio? If the answer is a considerable amount of time, a headset can save time and effort when it comes to communication. Do you need added privacy? 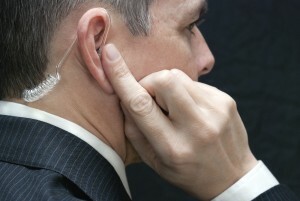 A headset helps keep conversations more discreet, as others in the vicinity will not be able to hear what is being said over the other radio. This may or may not be beneficial to your business. Is the job field noisy? A headset can help reduce background noise so that both parties are better able to hear one another. Some two-way radio headsets operate as a microphone, while others work more traditionally by hooking over the ears. Some headsets are flimsy and lightweight, while others are substantial and heavy-duty. The right type of headset for your business will vary depending on your industry and the day-to-day work employees are assigned. 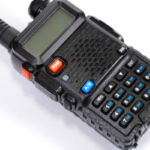 The type of two-way radio you are looking to connect with will also alter the right headset for the job, as some two-radios come equipped with Bluetooth and others require additional cords to connect via headset. This headset by Motorola is compatible with Motorola XPR and Motorola APX series radios, and requires a radio programed for VOX operation. This heavy-duty headset comes with a price point just under $500, and offers Boom Microphone and a noise reduction rating of 24 dB. The talk button is conveniently located on the side of the earpiece. This is a great headset for long shifts, as it comes padded with liquid and foam for extra protection and comfort. 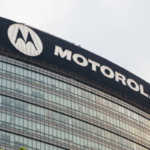 Ranging on average around $30, this two-way radio headset is a more affordable option that offers compatibility to the CP200, as well as a number of other Motorola two-way radios. This comfortable two-wire kit is made to withstand a lot of use, plus the microphone comes with a clip for hands-free easy access. This is a simple accessory with minimal materials, which many job sites prefer. The cords are not irritating and can run underneath clothing for invisible convenience. Overall this headset gets good reviews, but some people cite discomfort while wearing them all day long. Still, for the price this headset offers a lot of awesome features including good sound quality. This headset is compatible with the latest TK Kenwood radios, receives great customer reviews, and offers a very affordable price point. For around $30 you can pick up this headset that both transmits and receives messages. Despite its affordable price this headset is made to be worn over long periods of time and is constructed of soft materials that don’t irritate the skin. The sturdy construction of this lightweight headset (as seen here) makes it appropriate for even the harshest work environments. Even in the loudest locations this headset works great to convey messages without interference. This headset is sold for around $40 and is compatible with all Kenwood radios that have a multi pin plug. This model relies on slim cords, and the microphone can be attached to a shirt, sleeve, or practically anywhere else for easy access. This two-wire earphone kit is durable and discrete, which is why many security personnel use it as their go-to headset. Plus, the earpiece is great for loud site locations thanks to the superb sound quality. 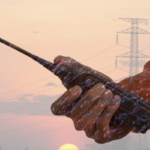 Highland Wireless offers expert advice, superior service, and top-notch products for all of your two-way radio needs.